U.S. decided to shut down its embassies after intercepting an order by Al-Qaeda chief to attack an embassy in the Middle East. The Obama administration’s decision last week to close nearly two dozen diplomatic missions and issue a worldwide travel alert resulted from intercepted electronic communications in which the head of Al-Qaeda in Pakistan ordered the leader of its affiliate in Yemen to carry out an attack as early as this past Sunday, American officials told the New York Times on Monday. 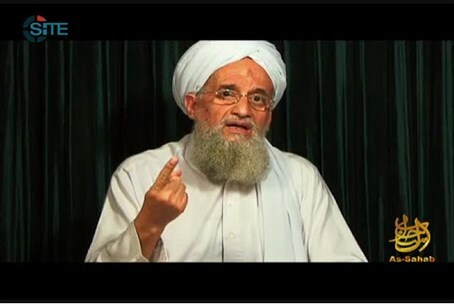 According to the newspaper, the intercepted conversations last week between Ayman al-Zawahiri, who succeeded Osama bin Laden as the head of the global terrorist group, and Nasser al-Wuhayshi, the head of the Yemen-based Al-Qaeda in the Arabian Peninsula, revealed one of the most serious plots against American and other Western interests since the attacks on September 11, 2001, American intelligence officials and lawmakers have said. It is highly unusual for senior Al-Qaeda leaders in Pakistan to discuss operational matters with the group’s affiliates, so when the intercepts between the two senior leaders were collected and analyzed last week, senior officials at the C.I.A., the State Department and the White House immediately seized on their significance. Members of Congress were quickly provided classified briefings on the matter, American officials told the New York Times. “This was significant because it was the big guys talking, and talking about very specific timing for an attack or attacks,” said one American official who had been briefed on the intelligence reports in recent days. The identities of the two Al-Qaeda leaders whose discussions were monitored and the imminent nature of the suspected plot — in the intercepts, the terrorists mentioned Sunday as the day that the attacks were to take place — help explain why the United States, as well as other Western governments, have taken such extraordinary precautionary steps in the past few days to close embassies and consulates in the Middle East and North Africa. But the intercepts were frustrating in that they did not reveal the specific location or target of the attacks, American officials said, according to the New York Times. In an article posted on the Web on Friday and published on Saturday, the identities of the Al-Qaeda leaders whose conversations were intercepted were withheld by The New York Times at the request of senior American intelligence officials. The names were disclosed Sunday by McClatchy Newspapers, and after the government became aware of the article, it dropped its objections to The Times’s publishing the same information. The State Department said Sunday that it was extending the closing of 19 diplomatic posts in the Middle East and North Africa through at least next Saturday because of continued fears of an imminent attack. Several European countries have also closed embassies in the Middle East. The embassies that will be closed include the ones in Yemen, Libya, Egypt, Saudi Arabia and the United Arab Emirates, the statement said, according to the New York Times. Administration officials and intelligence analysts said on Monday they had no new information on the terrorist threats. “We are going to keep evaluating information as it comes in, keep analyzing the various intelligence that we’re getting in in regards to this stream,” said a State Department spokeswoman, Marie Harf. "Over all, what we are doing is taking precautionary steps out of an abundance of caution to protect our people and our facilities and visitors to those facilities overseas," she added, according to the New York Times.